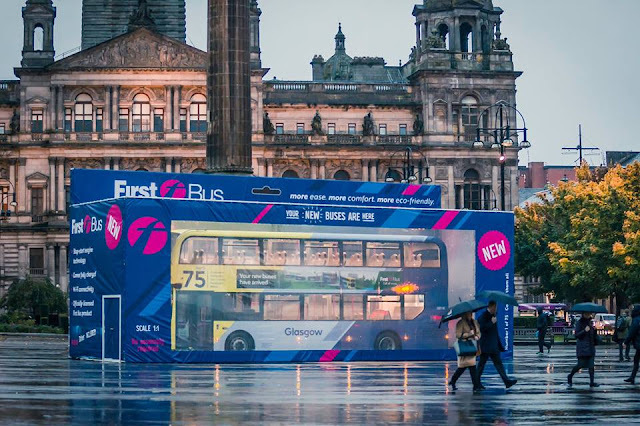 First Glasgow unveiled the first of 75 new buses recently with a unique bus-in-a-box event in the city's George Square. 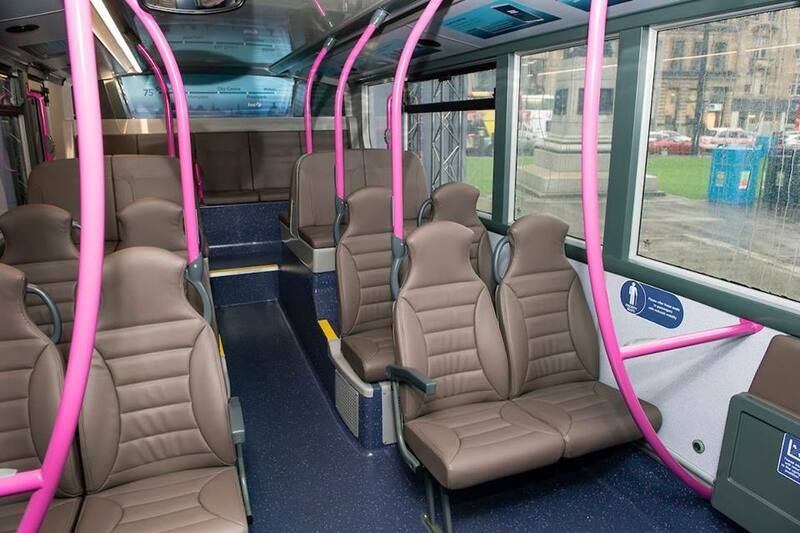 All 75 new buses are built by Alexander Dennis in Scotland, supporting jobs and the local economy. Passengers will enjoy comfortable high-backed seats, wifi and USB chargers, and air quality in the city will benefit from low emission Euro 6 engines. 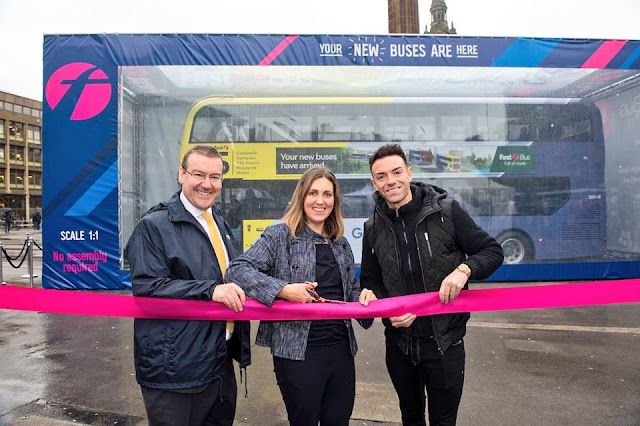 The buses were launched by First Bus Scotland Managing Director Andrew Jarvis, Glasgow Councillor and City Convener for Sustainability & Carbon Reduction Anna Richardson, and Des Clarke of Capital FM Scotland.